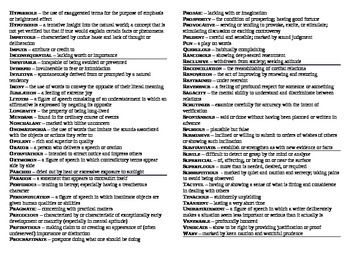 This is the vocabulary sheet that I give my 10th grade honors students in preparation for the ACT and End of Course Test. These words are from the ACT Vocabulary List. 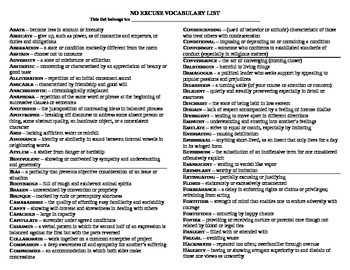 This handout is broken down into 8 lists that correspond with 8 vocabulary activities and quizzes that are for sale in my store. This is a great collection of words to expand students' vocabulary and encourage test preparation.